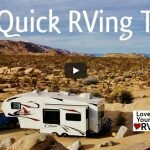 Ray, here is a reader-submitted RVing tip for your blog. 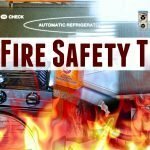 Your RV Fire Safety Tips and Advice post’s section on running the refrigerator on LP while traveling sent chills through my safety first self. Here is what we do and how an initial cool down idea works two ways. 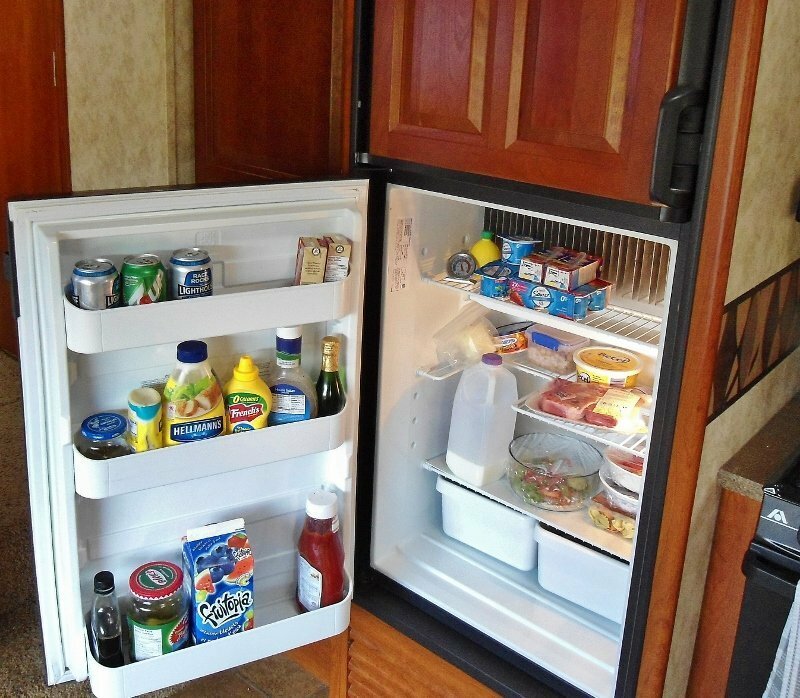 We load up food at our house in a cooler and travel about an hour to our RV storage location. An ambient temperature frig awaits us that seems to take forever to cool down. If you want to follow Ray’s advice about not turning on the LP gas cooling for safety reasons, then the problem escalates further. 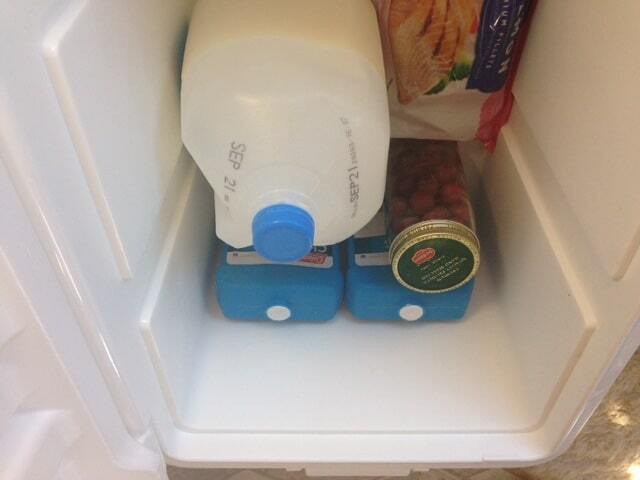 Our initial solution was to load the cooler. 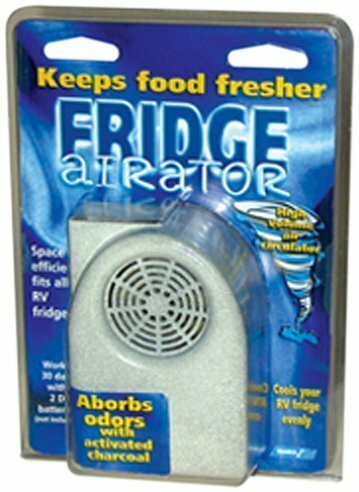 Then, get dry ice ($10) and load the food in the fridge with the dry ice in the freezer. 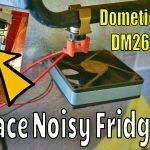 This is a good solution if you have a dry ice source and don’t mind peeling off the cash to accelerate the frig cool down. 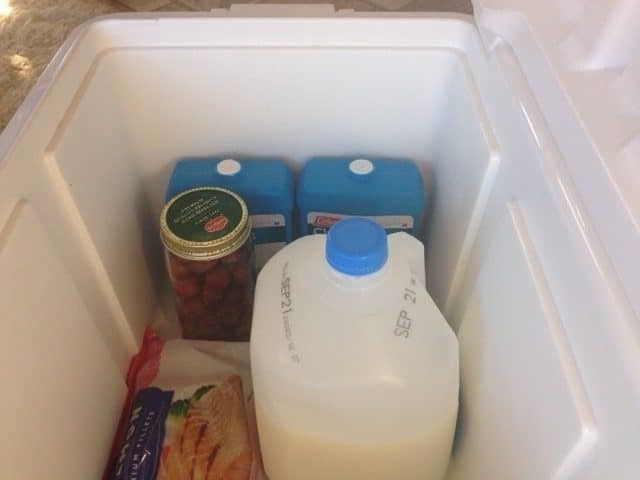 Phase two was to buy four chillers that we pre-freeze at home then load in with food in the cooler. 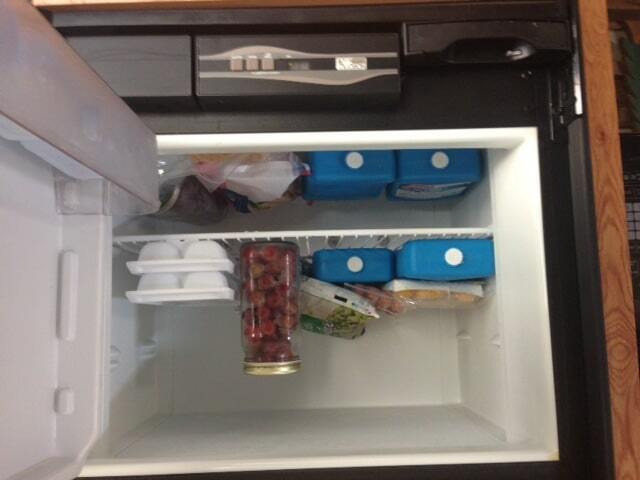 Then transfer the food and the chillers into the warm frig and travel on down the road. 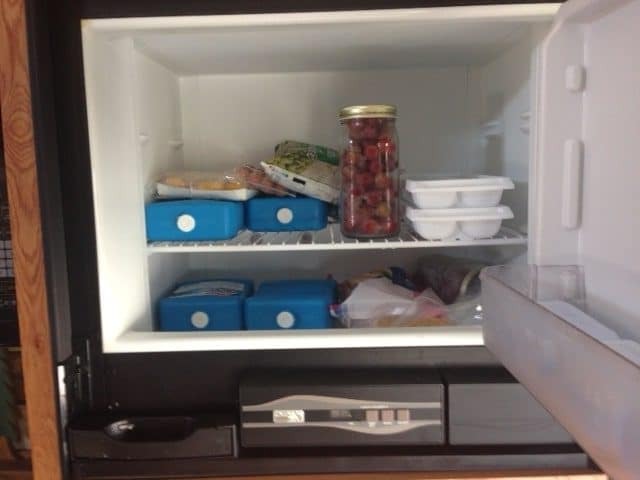 We leave the chillers in the frig when traveling to help keep the frig at a lower temperature and then refreeze the chillers when we camp. 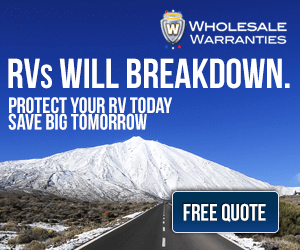 Hope this idea helps and adds to Ray’s great RV tips archive. 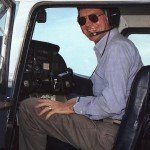 Author Bio – Charles Lloyd is semi-retired as a mobile home park investor after careers in engineering, IBM computer sales and selling Citation Business Jets. He has flown all types of aircraft for 60 years. This summer and when not in the RV they travel around the country in a Cessna 182. 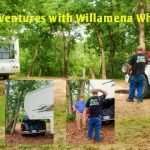 Charles and Sara attended the local Wichita RV show for 4 years climbing in and out of everything on the floor before making the plunge into RVing. 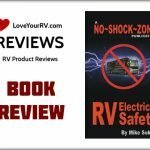 Their first RV adventure was a 3,700 mile round trip from Kansas to Akron, Ohio and return. Both take turns driving with Sara’s one caveat that she does not back up.